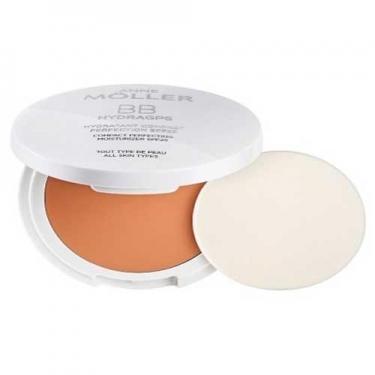 DESCRIPTION: Hydragps BB Compact Perfection SPF25 from Anne Möller is a BB cream improver and compact. Formulated with the innovative "Polarized Global System" * (GPS), conducts effectively a magnetized water flow for more dehydrated areas of the skin, keeping water therein to a healthier appearance of the face. Strengthens defense against UVA radiation, correct minor imperfections, evens and brightens the complexion. Its texture is compact with color and has a velvety finish. Its compact size and portable, makes it ideal to take with you in case everywhere. Apply one or more times daily to the clean and dry sponge, avoiding the eyes. It is recommended to wash the sponge frequently. Ideal to carry in your handbag.